Stroke is a global beast. It is a scourge of the young and old. It strikes suddenly, maiming and killing with wanton abandon. So much has been achieved in the attempts to tame the monster, and yet victory still seems a far-off mirage. What are in the pipelines, beyond Aspirin and Statins? What may improve the outlook beyond intravenous clot busters and intensive rehabilitation? What is the likely future of stroke care? Here is a countdown of my top 10 cutting-edge stroke advances. 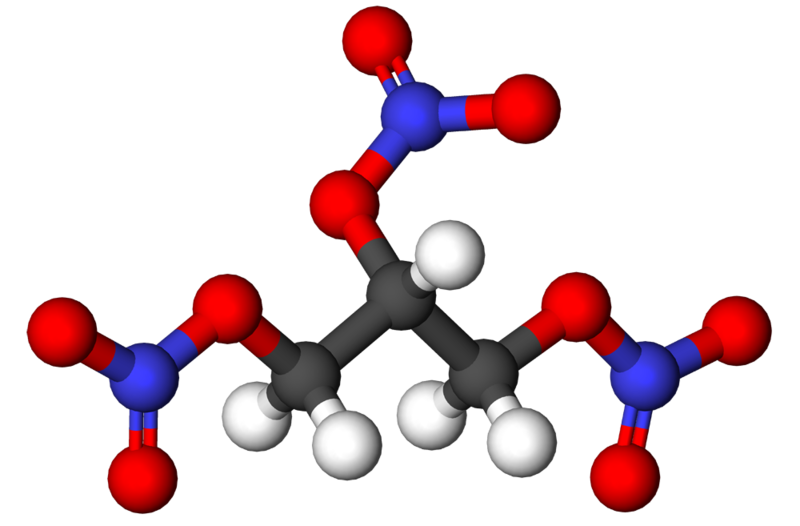 Uric acid is a villain as anyone with gout will attest. And yet there have been recent reports of the benefit of this chemical in neurological diseases. I have previously posted on the protective effect of uric acid on Parkinson’s disease (PD). In its further attempt to change its status from sinner to saint, uric acid is creeping into the world of stroke. A recent article in the journal Stroke is titled Uric Acid Therapy Improves Clinical Outcome in Women With Acute Ischemic Stroke. It was used in conjunction with conventional clot busting of course. Uric acid appears to reduce the growth of the infarct-the part of the brain that is irreversible damaged after a stroke. Why is it only women who benefit? Testament to the fact that it is not so easy to redeem a sullied image. 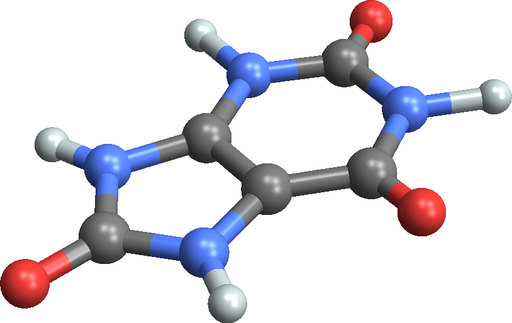 “Nitrogylcerin (3D ball-and-stick model)” by Woodenchemist – Own work. Licensed under Public Domain via Commons. Yes, the simple GTN, popular with those who suffer angina.GTN works in angina by dilating (widening) the arteries thereby improving blood flow to the heart. Why can’t the same effect be expected with the narrow or blocked arteries that lead to stroke? Indeed the effect appears to be the same on the brain as it is on the heart as reported in this article in Stroke titled Effect of Hyperacute Administration (Within 6 Hours) of Transdermal Glyceryl Trinitrate, a Nitric Oxide Donor, on Outcome After Stroke. The authors showed that applying GTN through a skin patch within 6 hours of stroke leads to improved outcomes. This intervention lowers the blood pressure, improves functional outcomes, and improves cognition to boot. To good to be true? Perhaps not. “AC89-0437-20 a“. Con licenza Pubblico dominio tramite Wikimedia Commons. There are many advances aimed at improving limb function after stroke. These include techniques such as constraint-induced movement therapy and mirror therapy. 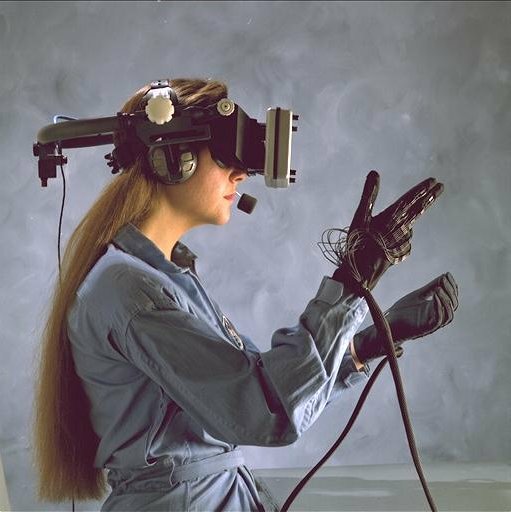 The exciting advance for me however is virtual reality. This came to my attention in an article in Augmented Reality Trends titled Virtual Reality Assists Stroke Patients Regain Limb Movement. It took some sleuthing to track down the scientific paper, published in Journal of Neuroengineering and Rehabilitation. Titled, in typical academic obfuscation, The visual amplification of goal-oriented movements counteracts acquired non-use in hemiparetic stroke patients, it showed the benefit of a virtual reality environment on hand-reaching in 20 stroke patients. The authors conclude that “the amplification of the movement of the paretic limb in a virtual environment promotes the use of the paretic limb in stroke patients”. Long words, small sample size, but big progress. “Merci L5” by Neilbarman at English Wikipedia. Licensed under CC BY-SA 3.0 via Commons. Conventional stroke treatment now relies on injection of clot busting agents into a vein (intravenous thrombolysis). In some cases the clot busting agent is given through an artery (intra-arterial thrombolysis). The immediate future of stroke however is moving towards actual clot removal or mechanical thrombectomy. There have been several studies showing the effectiveness of this technique. These include the appropriately named ESCAPE, MR RESCUE, and MR CLEAN. 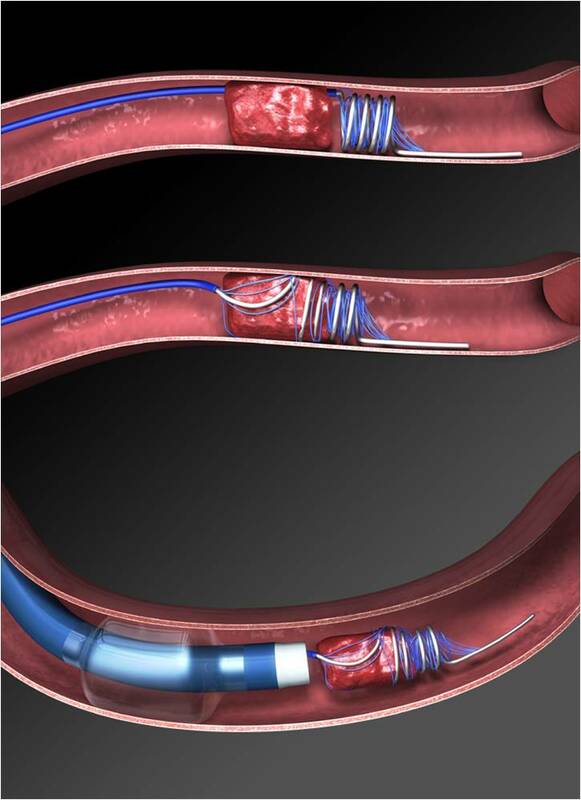 Thrombectomy makes use of devices called stent retrievers such as Merci, Trevo Pro and Solitaire™ FR. The results of these trials are overwhelmingly convincing, and the title of a recent review article in Interventional Neurology says it all: Mechanical Thrombectomy Is Now the Gold Standard for Acute Ischemic Stroke: Implications for Routine Clinical Practice. It is such a significant development that a recent Lancet Neurology article was titled Stroke in 2015: the year of endovascular treatment! 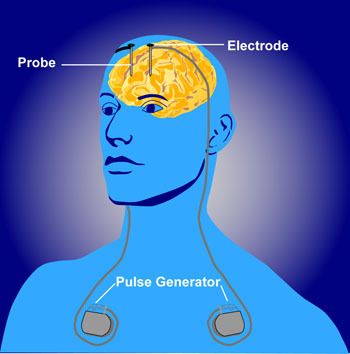 Neurostimulation is having a field day in neurology and I discussed this in my previous post on vagus nerve stimulation. Stroke is going to be no exception. Take this report published in Stroke titled Safety, Feasibility, and Efficacy of Vagus Nerve Stimulation Paired With Upper-Limb Rehabilitation After Ischemic Stroke. This paper suggests that combining vagus nerve stimulation (VNS) with standard rehabilitation improves upper limb function after stroke. Another report in Neurology is titled Deep brain stimulation of the dentate nucleus improves cerebellar ataxia after cerebellar stroke. 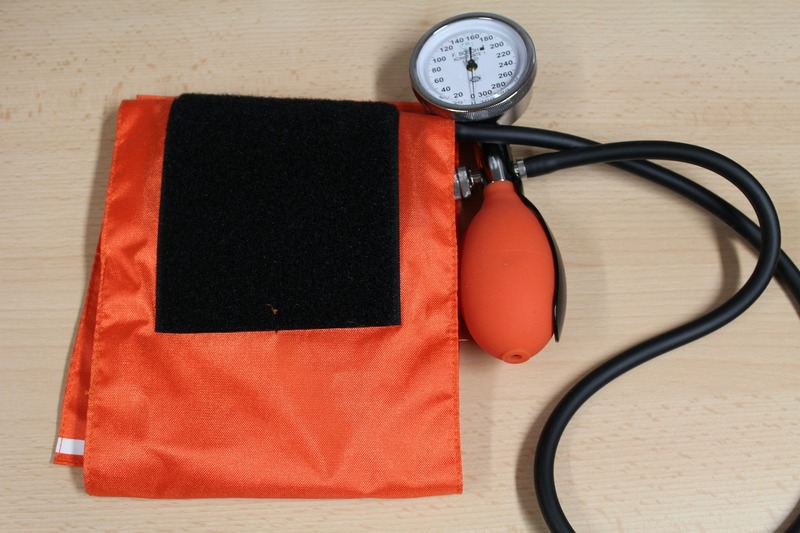 Could repeatedly inflating and deflating a blood pressure cuff around the arm reduce the brain damage that occurs following stroke? Strange as it may seem, this is the idea behind remote ischaemic conditioning (RIC). A recent paper in Nature Reviews Neurology titled Remote ischaemic conditioning—a new paradigm of self-protection in the brain explains how this works. It says RIC protects organs by triggering protective chemical pathways in their cells. This is neuroprotection when applies to nervous structures such as the brain. This process has the potential not only to limit the damage caused by stroke, but to also reduce the risk of the stroke recurring. One study that has looked at this process in detail is published in Stroke and is titled Remote ischemic per-conditioning: a novel therapy for acute stroke? 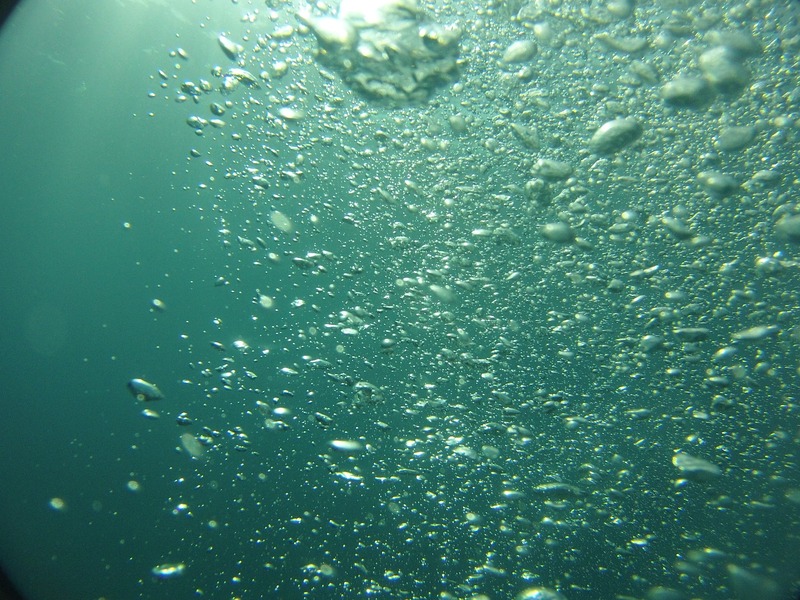 When oxygen supply to the brain is restricted, as occurs in stroke, the brain detects this using proteins called PHD (prolyl hydroxylase domain). PHD triggers a change in the metabolism of the brain cells, letting them adapt to the new state of limited oxygen supply. Unfortunately this adaptation leads to the production of toxic oxygen radicals which cause some of the brain damage that results from stroke. A recent study has however shown that mice that are deficient in PHD develop less severe strokes than normal mice. It requires no stretch of the imagination to guess that medications which inhibit PHD may lead to less severe stroke outcomes. And this is what the title of the research paper says: Deletion or Inhibition of the Oxygen Sensor PHD1 Protects against Ischemic Stroke via Reprogramming of Neuronal Metabolism. A simplified version of the paper is published in News-Medical as Oxygen sensor PHD1 identified as potential target for treatment of ischemic stroke. “NGF Beta 2.5S RCSB 1BET” by RCSB PDB – RCSB PDB. Licensed under CC BY 3.0 via Commons. Recent studies have reported two growth factors with the potential to improve stroke care. 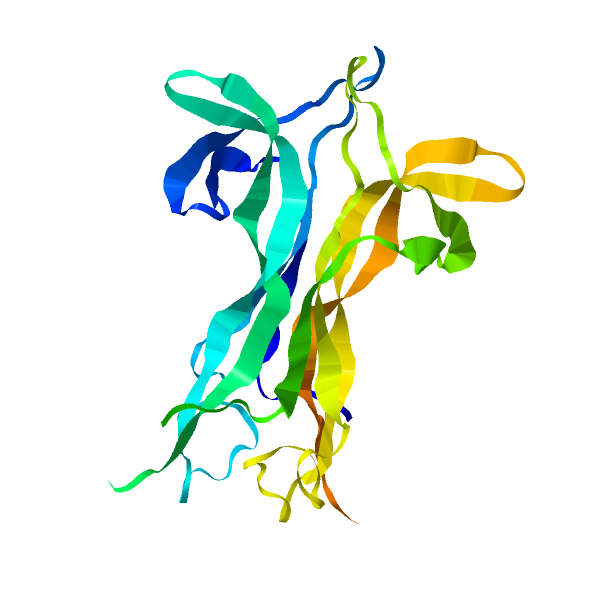 The first is growth differentiation factor 10 (GDF10). An article in MNT titled Discovery could lead to drug to enhance recovery from stroke describes GDF10 as a chemical which “signals brain cells to make new connections following a stroke“. The scientific paper is published in Nature Neurology titled GDF10 is a signal for axonal sprouting and functional recovery after stroke. 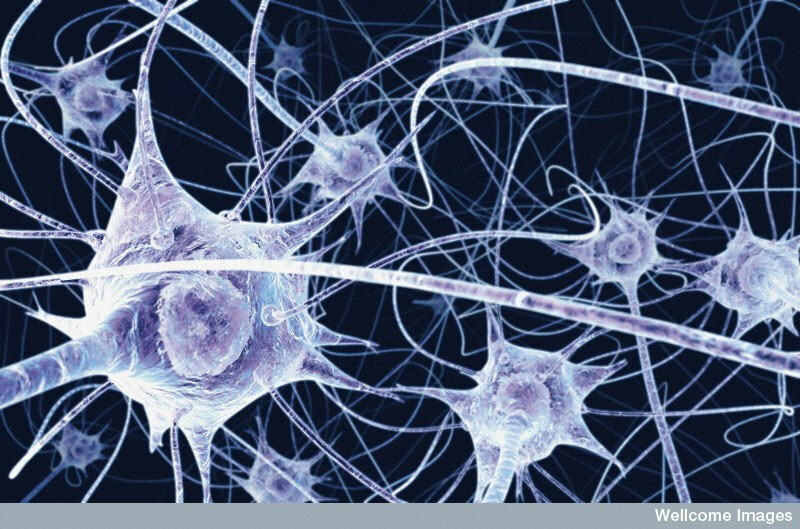 This opens the door for potential drug treatments which will improve recovery after stroke. The second growth factor is Neurotrophin 3 (NT3). This is one type of nerve growth factor which has been shown, at least in rats, to improve brain function. It however has to be administered within 24 hours of stroke. The report published in Brain is titled Delayed intramuscular human neurotrophin-3 improves recovery in adult and elderly rats after stroke. The authors showed that NT3, injected intramuscularly, triggers the sprouting of new nerve cells. This goes beyond neuroprotection and opens a very exiting field for stroke researchers. 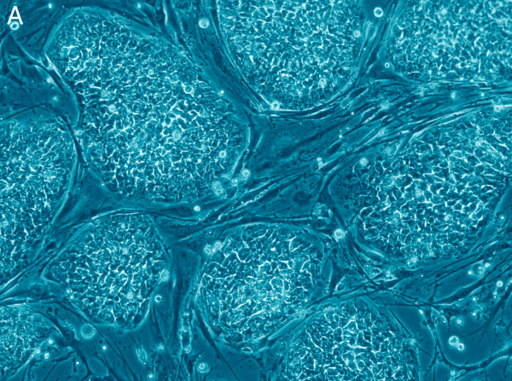 Stem cell therapy is a very promising field of medicine, with exciting reports coming out almost daily. Most recently is the benefit in multiple sclerosis (MS). Recent reports suggest that Stroke is not lagging too far behind. A recent article in The Guardian describes what appears to be a successful trial of stem cell therapy in 5 people with stroke. A review article in International Journal of Preventative Medicine outlines the different types of approaches to stem cell therapy; these include neural, haematopoetic and mesenchymal stem cells. If you are keen on the technical aspects you may look at the research paper in Stem Cells and Translational Medicine titled Intra-Arterial Immunoselected CD34+ Stem Cells for Acute Ischemic Stroke. A step which goes beyond neuroprotection, growth factors, and stem cells, is the creation of functioning nerve cells (neurones) from the supporting cells of the brain (glial cells). This technique promises to repair the part of the brain damaged by stroke by simply replacing the dead cells with new nerve cells. I came across this first in an article in The Guardian titled Brain damage could be repaired by creating new nerve cells. The evidence so far is from studies in mice but the prospects for this are very exciting indeed. For the scientific details, the original research is in Stem Cells Report titled Sox2-Mediated Conversion of NG2 Glia into Induced Neurons in the Injured Adult Cerebral Cortex. These are all very impressive developments, hinting at a bright future for stroke care. It is hopefully not far off when a devastating stroke will be a totally reversible event. 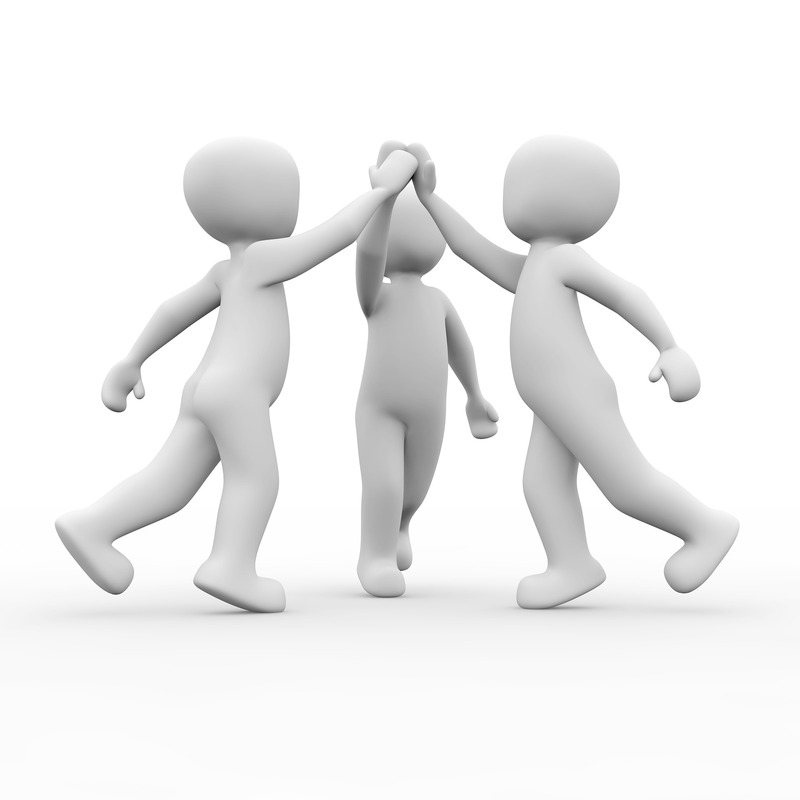 Who are the stroke leaders that can be talked to to see what the strategy is to solve all the problems in stroke? With these and dozens of other possibilities as solutions we could get a lot more than 10% fully recovered. But first we need to stop the ‘happy talk’ of prevention and F.A.S.T. and acknowledge that practically everything in stroke is a failure.